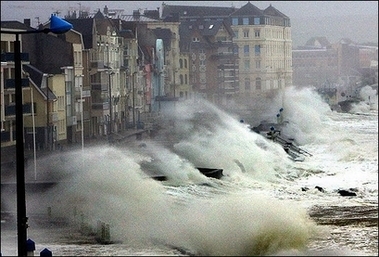 Huge waves crash in the port of Wimereux, in northern France. Hurricane force winds battered parts of Europe, killing at least 27 people. This photo memorably shows the intensity of the storm.